Your fish will absolutely love the tasty carnivore food spread presented on Pets World. 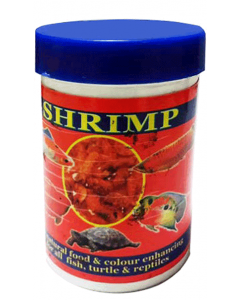 The food is packed with vital nutrients and is a great nutritional addition for your aquarium fish. The freeze dried technique is great at preserving the nourishment while still keeping it tasty enough for the fish to consume. 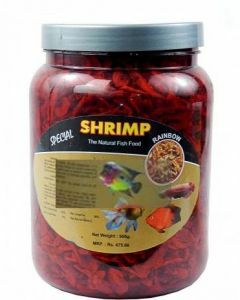 See your beloved fish come alive with activity and enthusiasm with the balanced nutrition provided by products like Rainbow Special Shrimp Natural Fish Food and Today's Blood Worms Freeze Dried. They are available in different sizes like 20 gms or 500 gms depending on your specific feeding requirement. 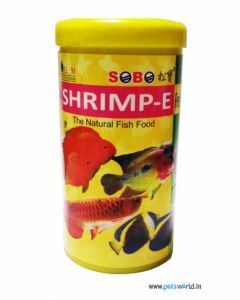 If you wish to provide a diverse range of food then you should explore the shrimp and freeze dried food we have on our website. The natural environment of shrimp is clean water. They are harvested and processed for ease of consumption and absorption of the essential nutrients by the fish. 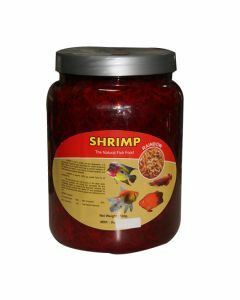 With the popular freeze dried technique, you can take care that the nutrient, carotin and vitamins are not lost when the shrimps are harvested from clean water. Feed them these foods and see your fish’s health and well-being improve significantly. We also have dried fish and marine algae like seaweeds for specific needs. These packed foods are treated with care to enable complete nourishment without compromising on the essential nutrients like protein, fat and astaxanthin.